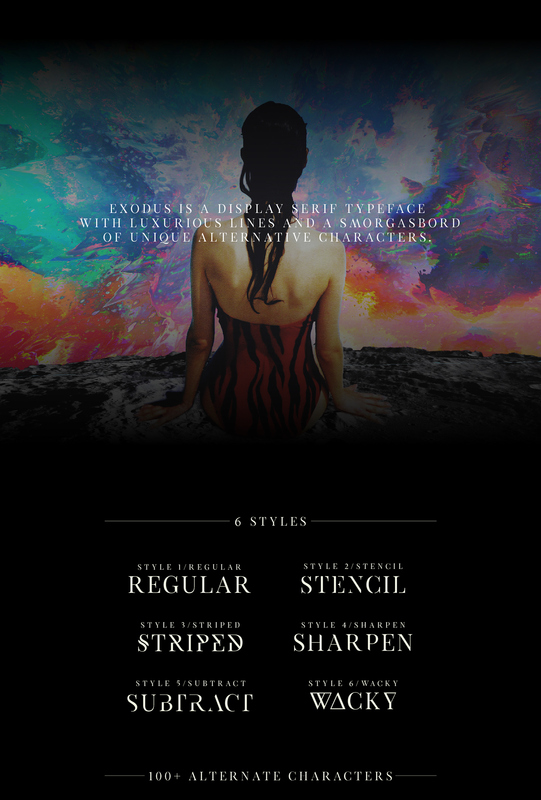 Exodus is a display serif typeface created by Andrew Herndon from United States. Featuring luxurious lines and a smorgasbord of unique alternative characters, the Exodus font family comes in six variants: Regular, Sharpen, Stencil, Striped, Subtract & Wacky. Exodus was designed to create stellar unique character sets for logos and headings while giving full control to the designer. The font is free for personal use only and the license for commercial use is available here.